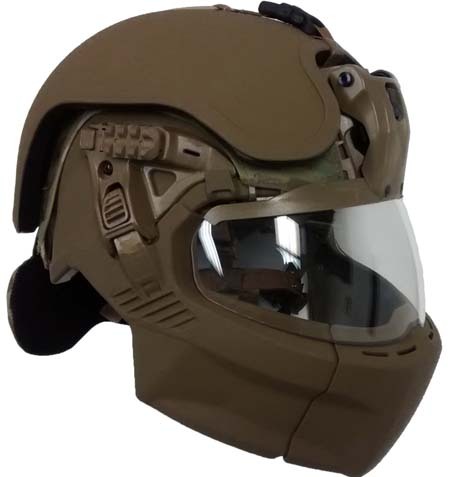 PAUL, Minn.–The U.S. Army has awarded Ceradyne, Inc., a 3M company, an additional $34 million to continue supplying its ballistic helmet of the future. 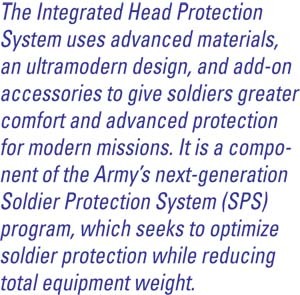 The Integrated Head Protection System (IHPS), which Popular Mechanics described as "straight out of science fiction," uses advanced materials, an ultramodern design, and add-on accessories to give soldiers greater comfort and advanced protection for modern missions. The award brings Ceradyne's total IHPS contract value to more than $52 million. The U.S. Army created the highly technical IHPS to give soldiers a lighter-weight ballistic helmet with passive hearing protection and increased blunt-impact performance. It is a component of the Army's next-generation Soldier Protection System (SPS) program, which seeks to optimize soldier protection while reducing total equipment weight. "This order reinforces the Army's confidence in 3M to design and produce the IHPS, which is so advanced, it sets a new global standard for head protection," said Cheryl Ingstad, global business manager of 3M's advanced ceramics platform for defense. The IHPS (www.3M.com/ballistichelmets) is designed to protect against modern battlefield threats, including powerful rifle projectiles and handgun bullets. It can be fitted with accessories, such as mandible, visor, night vision goggle attachment, rails, and a modular ballistic applique for increased protection.